When disaster strikes, no one ever knows when things will return to normal again. In some cases, there may be the possibility of things never truly returning to normal. With this being the case, it’s a good idea to stock up on foods that are meant for the long haul. Before we begin, it’s important to note that these foods will only last 20 or more years if they are properly stored in conditions that are dry with stable temperatures and limited light exposure. You can learn more about that in our list of 10 things that will destroy your food storage. With that said, here are 20 survival foods that can last at least 20 years. Unless you have a milk cow, enjoying milk post-disaster may be a challenge. Thankfully, powdered milk can last 20 years or more, but only if it’s nonfat. A survival food staple, dried beans can last 30+ years if they are stored properly. If you prefer your beans not be dried, instant beans have a great shelf life as well, lasting 25+ years. 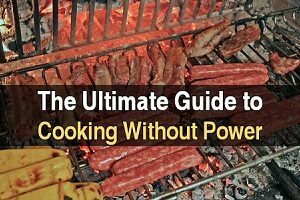 Making survival foods taste as good as the cuisine we are used to can be a challenge. Thankfully, salt has an indefinite shelf life, and it has many uses. Honey has an indefinite shelf life, allowing you to enjoy Nature’s sweetener even if the apocalypse lasts a lifetime. It also has several other uses. From fruits and vegetables to chicken and beef, you can make most foods last 25+ years if you keep them freeze dried. You’ll get a little less mileage out of freeze-drying cheese, but freeze-dried cheese will still last 20+ years. If you enjoy a nice bowl of oats for breakfast in the morning, we’ve got good news: rolled and whole oats are able last 30+ years in the right conditions. If you own a dehydrator (or can make a simple one yourself) you have the ability to make fruits and vegetables last 25+ years. Those who appreciate Italian food will be happy to hear that pasta can last 30+ years. What you find to season it with may be more of a challenge, but the pasta itself has a great shelf life. White flour only has a shelf life of 10 years. Wheat, however, has a shelf life of 20 years, allowing you to make your own flour long after your pre-processed flower has gone bad. Enjoying a cup of hot chocolate post-apocalypse will actually be a possibility thanks to the fact that cocoa powder will last 30+ years. Note that we’re talking about cocoa powder and not instant hot chocolate mix, which usually contains dairy. You won’t be able to enjoy fresh potatoes long after a disaster unless you grow them yourself, but potato flakes will last 30+ years. You won’t ever have any problem sweetening your food and drinks as sugar has an indefinite shelf life. A large portion of the world gets by on a diet that is heavily dependent on white rice. After a disaster, the number of people sustaining themselves with white rice may increase even more since white rice has a shelf life of 30+ years. Whether you eat it as-is, grind it into cornmeal, or store lots of popcorn kernels, corn is a great survival food and it has a shelf life of 30+ years. Syrup lasts indefinitely thanks to its high sugar content. Sometimes mold can grow on top, but all you have to do is scrape it off and boil the syrup to kill it all. Baking soda is another key baking ingredient with an indefinite shelf life. And like salt and honey, it also has many alternative uses. Bouillon cubes have an indefinite shelf life, allowing you to add chicken and beef flavoring to your food long after the SHTF. Stay energized post-disaster by stocking up on instant coffee. Stored properly, instant coffee will last 30+ years. It’s worth reiterating that all of these foods will only last as long as stated if they are stored correctly. Even foods with an indefinite shelf life can go bad in days given the wrong conditions. But as long as you take the right precautions, these 20 foods will last 20 or more years, allowing you to ride out most any disaster scenario without going hungry. 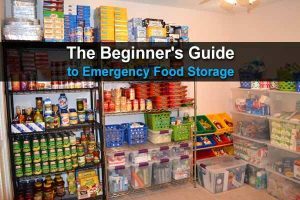 If you’re new to food storage, be sure to read our beginner’s guide to emergency food storage. Okay. You are putting away survivor food items. Where? I did a test run with cans. I assume it was the deer that stumped the cans opened and not the beavers. Totally ruin the run and some of it was buried. Glass…they don’t like glass. Glass…moisture…so I lined newspaper on the inside and sheets of toilet paper and rice to absorb and a few years to produce data. In the meantime, the deer, or a bear, ran off with the peach tree. Can’t find the rhubarb. Drat that beaver. Next run, I painted a dryer pipe green and wrapped the outside of a mulberry tree…glued and tied branches to it. Tied the pipe to the roots…it’s still there…just pass on by fellas. Threw different types of rice into the river. Snuck in trout but we had the creek turned into a river dug out for three to five miles 60 years ago…now it’s a short run river. We placed small minnow type fish in it back then. It was time for the trout and rice. And, hither and thither, rhubarb, Tim Horton’s coffee beans, cranberries. The mulberry is a great idea as the Canadian winters are long and the fruit is short. Grew walnuts that sprouted and other small growing fruit tree berries, flower seeds that produce teas. Threw around peanuts…no show. Loads of apple and cherry tree seeds…it was quite tiresome for a 70 year old but I like the idea that someone may get lost in the bush, follow the river and may find something to eat off in the future. Shorter story…don’t forget to place moisture absorbers in some cans and do a test on cans versus glass. Can you tell me where you got your data on Bullion cubes. Everything I am finding says 2-3 years. I would love to know the brand and packaging required for indefinite shelf life. 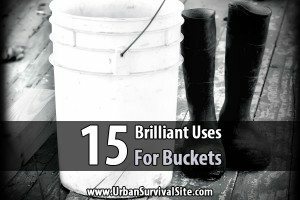 Well I’m not a old prepper,But to me these ideas are and were taught to me from my parents and grandparents.I learned how to do a lot of these things from both side of my elders.For I’m 1/2 breed or as they now say mete,well that tell the rest of story…lol.It is nice to refresh the memories of the elders for I too can past them on to kids that WANT TO learn and not wanting to bring a get to blaster or crappy cell phones.I don’t have time for that garbage.I just tell them we will survive without a lot of things if you want to learn how to.Cause today I’m here & tomorrow I’m gone into history. great post. 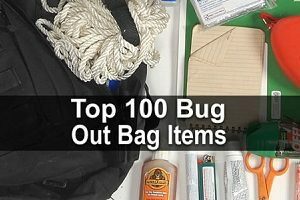 i’m an old prepper but i enjoy reading new articles. i went back to your site and re-read articles to refresh my memory. 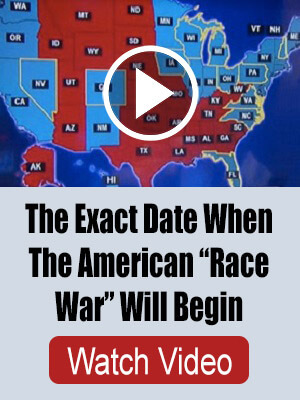 lots of good info here. thanks.